Are you going to buy a new pair of gaming headphones for your gaming station? Let’s see together what is the best gaming headset available on the market. Owning an excellent gaming headset is essential if we want to guarantee a good game performance. Very often, gaming headphones are considered a secondary accessory, which can be replaced by a normal pair of headphones. However, gaming headsets are on a par with a keyboard and mouse. They will affect strongly for better or worse performance, and they will be one of the components that will declare our victory or our defeat. For this reason, it is important to carefully evaluate the purchase of new gaming headphones. 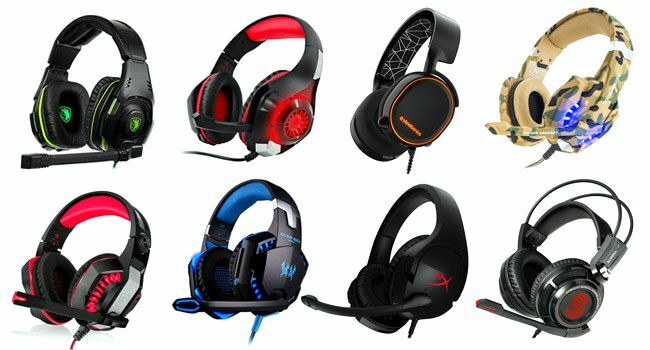 In this guide, we will see how to choose the best gaming headset and which are the best gaming headphones currently available for purchase. There are many aspects to consider when buying new gaming headphones. Some are fundamental, while others are linked exclusively to our personal tastes. The comfort is as important as audio quality that can guarantee. Being a product that we will wear during our long gaming sessions, it must guarantee excellent comfort. They also must not cause any annoyance to our ears and they must fit perfectly. The quality of the guaranteed audio is a fundamental characteristic that distinguishes the products of excellent quality from those of poor quality. We must be able to hear every sound, every single noise. In this way, we will be able to feel the enemies and at the same time enjoy a truly immersive gaming experience. 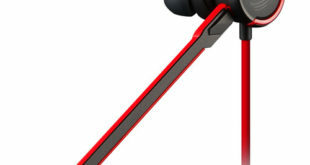 The microphone of the gaming headphones must be able to offer excellent quality. It is indispensable in games where dialogue between teams is essential. Obviously, an excellent gaming headset must have a good build quality. Nobody likes to buy a product and throw it away after a few months of use. 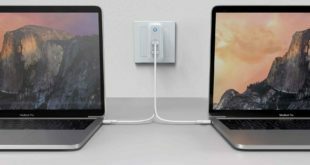 For this reason, it is important to choose carefully these products, so that they can last over and prevent other expenses of money. Some models have dedicated buttons that allow us to manage the audio directly from the headphones themselves. This is a feature that we find from the mid-range models, as economic models hardly possess this additional feature. The design is a feature that applies only to our tastes. Some users prefer an aggressive design with RGB LED lighting. Others prefer a simpler and sober style. This is a pair of budget gaming headset with an excellent quality and price ratio. The headphones are very light and guarantee a good comfort during the gaming sessions. The ear-cups can be rotated up to 90-degrees. The adjustable slider is made of steel and guarantees a longer life over the years. There is also a handy slider that allows you to adjust the volume of the sound directly from the headphones. The microphone is characterized by a good quality and is equipped with noise cancellation. They are the inexpensive best gaming headset. Logitech gaming headsets are synonymous with warranty and reliability. This model offers good build quality and audio quality. The headphones are equipped with Dolby Surround 7.1 audio and the ear-cups can be adjusted up to 90-degrees. There is a convenient button that allows you to easily adjust the volume. This HyperX gaming headset is equipped with a uni-directional microphone with noise cancellation. The leather-like ear-cups provide really good comfort. These headphones are optimized for professional gaming, thanks to the design with closed earcups that favors passive noise reduction. In addition, this headset enjoys TeamSpeak certification and is equipped with 7.1 virtual surrounds. The microphone can be conveniently removed. This wireless gaming headset is characterized by a different shape of the earcups than usual. The particular shape of the earcups allows greater comfort, adapting perfectly to our ears. The sound of the game is crystal clear and sharp, thanks to the Dolby 7.1, and the wireless module allows you to reach 12m maximum range. The microphone is characterized by noise cancellation and is equipped with an LED indicator. There are dedicated buttons that allow you to turn off the headphones and mute the microphone. They are also equipped with RGB lighting that can be customized using the Corsair software. There are also Corsair VOID PRO RGB wired gaming headphones too. It certainly could not miss a Razer gaming headset in this guide. These Razer gaming headphones are characterized by an excellent audio quality and build quality, characteristics that have always distinguished the company in the gaming industry. 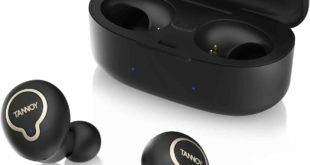 They are equipped with a 7.1 virtual surround sound system and the microphone guarantees clear sound quality, thanks to the active noise cancellation. It can also be stored inside the earcups in order not to get in the way when not in use. These Logitech gaming headset deliver audio quality with 7.1 surround sound and unmatched build quality. They are distinguished from the other models for the high level of customization with which they are equipped. 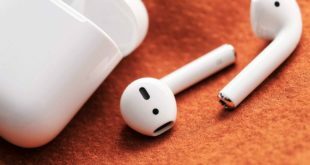 They are characterized by numerous programmable buttons positioned directly on the earcups, which allow you to switch from one audio profile to another. The software allows you to manage the lighting and equalizer and preset audio preferences. The microphone has excellent quality, thanks to which the members of our team can always feel clearly. These headphones are the best wireless gaming headset we can buy currently on the market. They provide excellent sound quality thanks to Dolby Digital 7.1 audio, and the microphone sound is crystal clear, without any kind of noise or interference. Thanks to a convenient switch on the back of the charging base, we can activate compatibility with PS4 or PC. The convenient charging base is equipped with an indicator that provides information about the charging status of the headphones. Below is the list of the top 10 best-selling gaming headsets on Amazon. The list is kept constantly updated by the store itself. 【World-leading Brand & Lifetime Warranty】As the leader of the gaming headset industry, ONIKUMA has been favorably reviewed by more than 3 million customers. Every item comes with a Lifetime Warranty and customer service respond within 12 hours. 【Super Real Gaming Experience】ONIKUMA K5 gaming headset maximizes the clarity of sound with 7.1 Surround technology. High-grade 60mm driver with neodymium magnets delivers clean clear bass. Just take your gaming experience to a higher level! 【Great Wide Compatibility】It works on Nintendo Switch (audio), Nintendo New 3DS LL/3DS (audio), Nintendo 3DS LL/3DS (audio), Windows PC, Mac OS PC, iOS device, Android device, PS4, PS3, PS vita, Xbox 360 and Xbox One. Xbox One needs accessory. 【Best-in-Class Mic and Fingertip Control】 ONIKUMA gaming headset is adjustable and flexible to pick up sound in 360 degree. It equipped with strong cords and joints and features long-lasting durability with USB Mute & Volume Control. 【Lightweight and Comfort Design】Crafted for long gaming sessions. Headset innovates in shape and breathable material for play-all-night comfort! Padded softly, the over-ear ergonomic ear cup is thicker and bigger to isolate ambient noise.  【immersive gaming experience】onikuma k5-camo gaming headset brings you crystal-clear sound of bombing, footsteps, Warcraft in the flight. With the clear sound of 7.1 virtual Surround Effect, high-grade 50mm driver with neodymium magnets delivers super clean bass. Our Xbox One headset can visualize the scene in your game and help you locate the flying bus accurately. Wise choice for the current top sports games: Loll, csgo, Dota2, Fortnight, PUBG, Apex legends, etc..
 【Advanced noise cancellation technology】 with great sensitivity feature, This gaming Microphone captures the sound on-mi-direction-ally and completely.The ambient noise can be canceled and isolated up to 90%.the superior high fidelity sound effect can make You receive the message timely and feel like communicating with your partner fluently face to face in the real battle. 【Prominent Humanized Design】Designed for light weight comfort, with ergonomic and durable breathable protein over-ear pads, Retractable head beam, flexible and fit headband, The PS4 headset with mic relieves you from ear pressure, hearing impairment heat sweat in the long time Fierce game. The earphone mic with sparkling LED light can be adjusted flexibly to pick up your voice all-dimension. 【Versatile compatibility】onikuma gaming headphones with 3.5mm Audio jack are compatible with Nintendo Switch (Audio), Nintendo new 3DS LL/3DS (Audio), Nintendo 3DS LL/3DS (Audio), Windows PC, Mac OS PC, iOS Device, Android device, PS4, PS Vita, Xbox One controller (Please kindly note: newer models have a headphone jack, older ones require an adapter). 【100% quality guaranteed & Lifetime warranties high quality and professional technology, ONIKUMA has become the worldwide distinguished gaming headset though persistent efforts in the gaming headset industry. Each gaming headset will go through a strict quality test before sending out. Please assure that PS4 headphone comes with a Lifetime warranty and Customer service respond within 12 hours.